I have that whole seytionopened up but can't see it. Will dive in again in the morning. Wow, I never took out the seat, that is like completely not needed. Guess we all have our ways Disco 3 V8 HSE, Disco 3 TDV6 S and a Defender V8. Those are my workhorses and toys. I'm stumped. 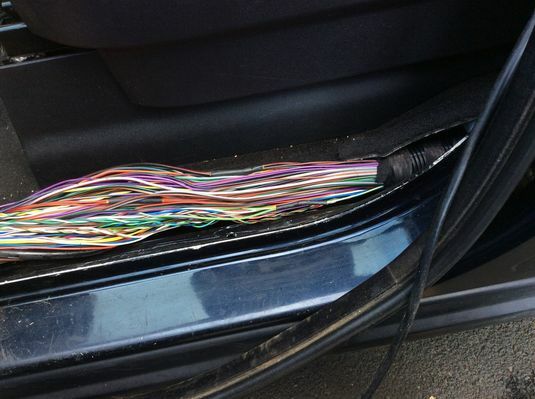 I have followed every green and white cable through that section and they all go past the passenger seat and under the carpet. Had to admit defeat and call the Landy specialist who services my car. He said done dozens bring it down. Well it's not there on my car (2008). He thinks Landrover must have changed the loom. Any further information would be gratefully received. I did my mates the other week and it was much easier to take the seat out, we were also trying to fix drain holes in the sunroof, so made it all a bit easier. Im new to the forum and have been searching through many forums and have come to find this one to have the most helpful topics. Im sorry for this being my first post but I really need some help before I splash out on a garage to fix the problem. Ive now opened thr car up twice and failed miserably. Does anyone know somewhere I could go in west london who will not rip me off to fix this problem. Both my keys dont lock or unlock doors and its really annoying and at the same time now my headlights are not turning on first time around which i dont know if its related. What size would you recommend for this job, 5mm - 12mm, 4mm - 9mm? My turn next. A little job for the weekend. Hope it stays dry. Is this it? 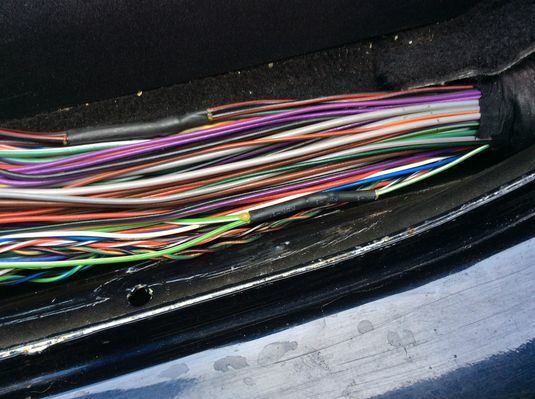 The top green/ white wire come from under the seat. What's the brownish sticky goo?